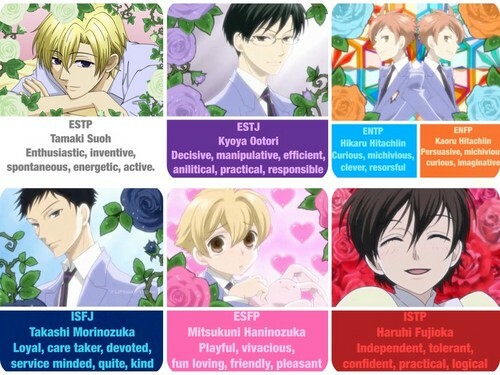 Ouran HSHC MBTI personalities. I spent a while looking for one of these on the internet with no success so I decided to make one. Would appreciate help making it plus accurate ^^. HD Wallpaper and background images in the Host Club - le lycée de la séduction club tagged: photo ouran hshc.